Join my launch team and get my next book FREE! 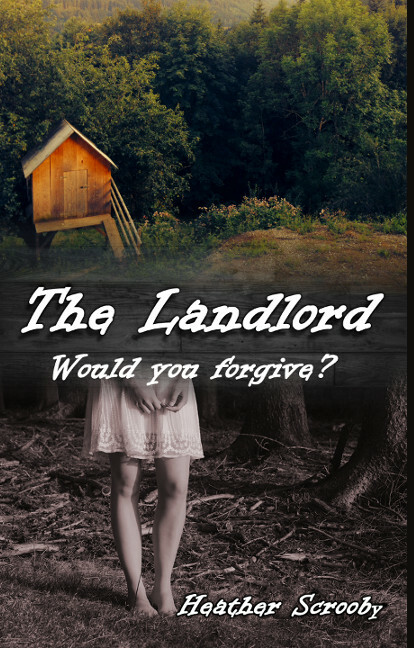 A romance story with a psychological twist. This book attempts to highlight the long lasting and far reaching consequences of Child Abuse. A Series of Books to assist Authors... currently offering FREE lauch copies of these books! 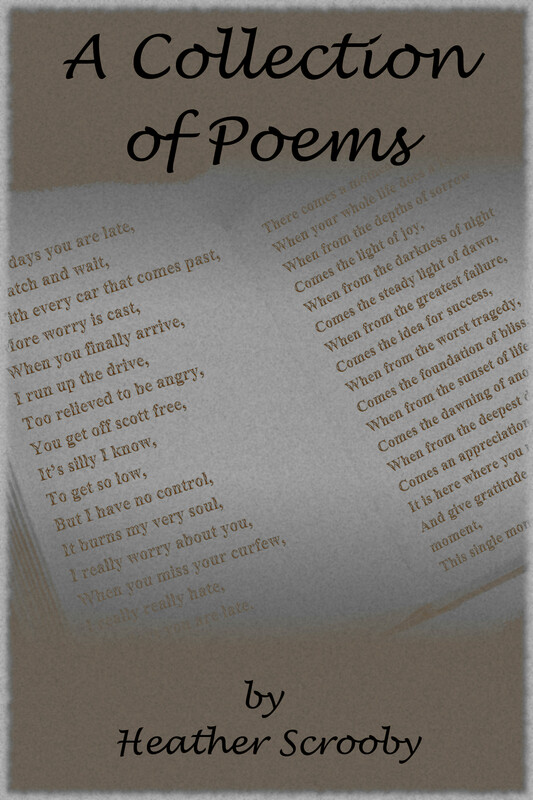 A collection of my poems, covering subjects from depression to appreciation. How do I spell that word again? We all know that while furiously typing out that story from our head, trying to correct spelling errors breaks our concentration and ultimately the flow of the story. We rely on our editing process, and those red underlines to sort these errors out. But what happens when you just can not remember how to spell that word? You right click, expecting your word processor to help you out, but it does not provide the answer of how to spell that word you are looking for. You try Googling, but it seems even they do not know how to spell that word… You are just not able to figure out how that word is spelt. You do not want to have to re-write the sentence or use another word, it will break the flow of the paragraph, but it looks like you will have no option! Stop! 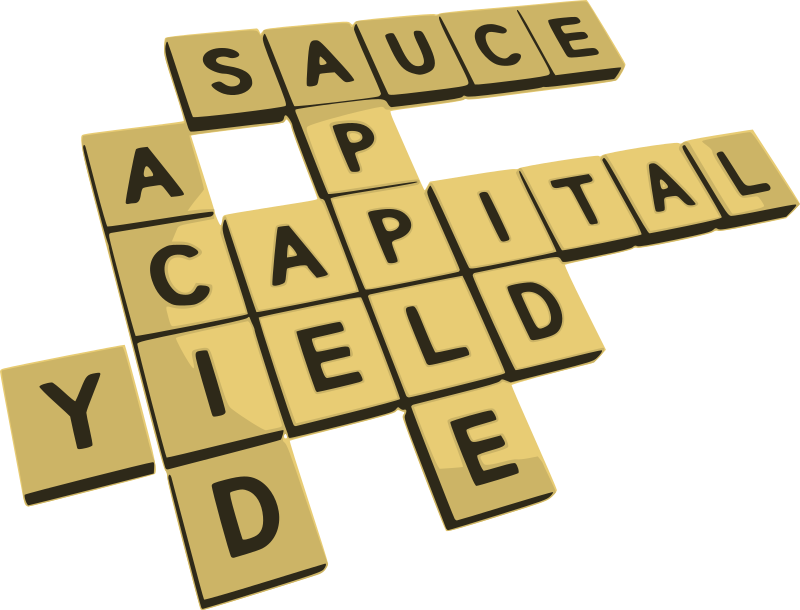 Take a deep breath and see the image below, with the help of some Grammar Experts and graphical wizards, the following image was created to help you figure out how to spell that word! Attribution for this graphic goes to https://blog.hubspot.com. List Building for Authors FREE Launch Copies! The first book of the Author Guide Series has just become available—and you can get it right now, for FREE. The first in a series of books dedicated to helping Authors with all aspects of self-publishing, this book is focused on building your list. We have all heard the saying ‘The Money Is In The List’, but building your list is not only time consuming, but incredibly difficult if you do not do it properly, and to make matters worse, you might end up having to start your list from scratch if you make the wrong decisions in the beginning! 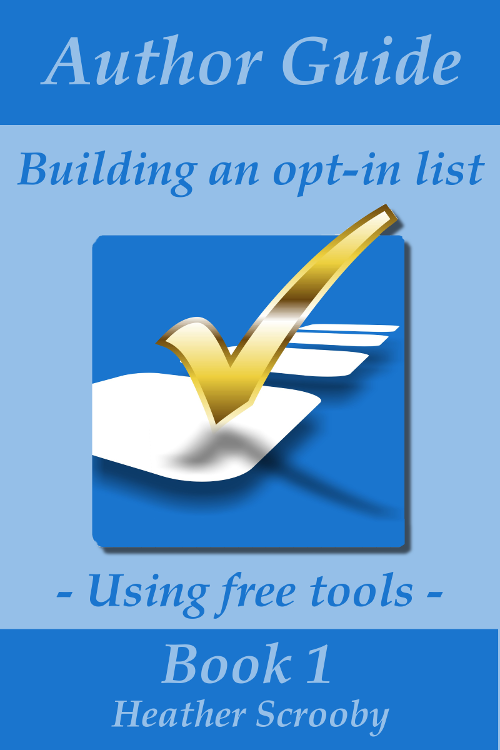 Book 1 in the Author Guide Series (How to build your opt-in list, using free tools) focuses on list building for authors and ensures you avoid the pit falls most new authors make, and ensures that you start creating your list correctly from day one! No re-doing, re-verifying or mismanagement of lists that end up costing you time and money. Best of all, the book is focused on free tools to help you do this, no need to buy expensive software to successfully utilize the advice in this book. If you already have your list, this book contains enough golden nuggets to provide you with tips and tools to provide new ideas and avenues you might not be utilizing and will help you maintain and organize your current list. While focused on specifically on list building for authors, many of the options supplied can be utilized for other types of list building initiatives. My advice? Get the book! Right now it is being offered for FREE, so you have nothing to lose, only tons and tons to gain! GET IT HERE today for FREE! Discounted Book : Legend of The East Road! I wrote another post on The Roads of Luhonono – Legend of The East Road (Book#1) before it was launched. Depicting “The amazing adventures of three would-be adventurers and their quest to find a mysterious princess”, this Middle Grade Fictional book should not be missed. 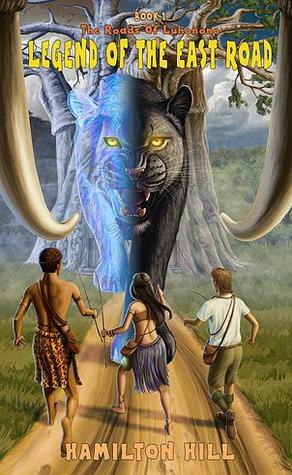 If you were not able to get your pre-release copy, I have great news, you can now get The Roads of Luhonono at a 35% discount! The discount is only valid between 7 November (yes, I know I am late!) and 21 November 2015. In order to get your discounted copy of this book, click the link below to go to the Smashwords website and enter the Coupon Code (LK85D) at the time of purchase to receive your 35% discount. We all make mistakes, mistakes which end up costing us valuable time, and frequently money too! Thankfully, Tina Collin’s is offering a FREE email course tiled 8 Book Marketing Mistakes to help you avoid some of the pitfalls when marketing your book. You can also take a peek inside to have a look at what you can expect from the 8 Book Marketing Mistakes email course, CLICK HERE. In this short snippet titled ‘Problem With Book Marketing?’ you can get a feel of what to expect before you sign-up for the email course. 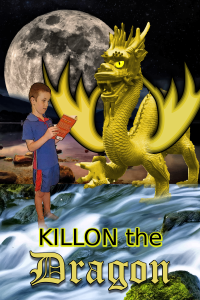 Many years ago, when Kings ruled over our vast lands, there lived a dragon called Killon. 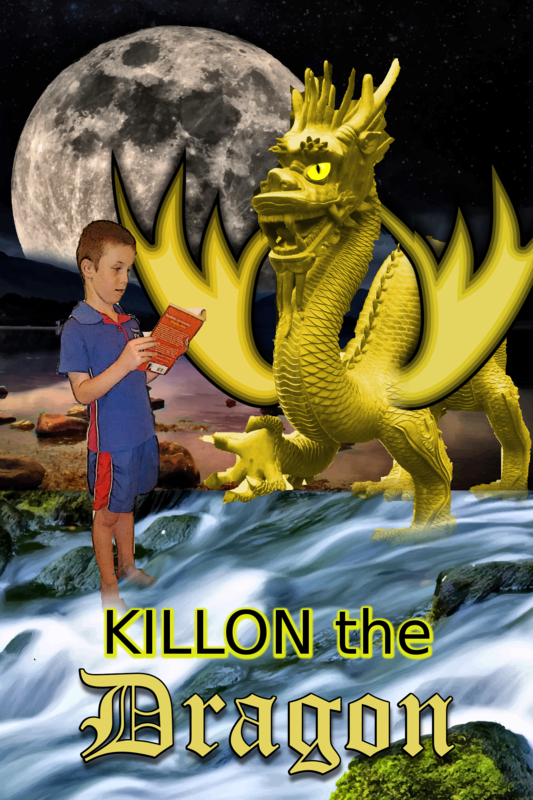 Killon was a mighty, golden dragon who was feared by all the people of the Kingdom where he lived. The King enlisted many great knights and brave men to rid his great kingdom of the Dragon, Killon, but not one of them were able to kill the mighty beast. They returned home defeated, with broken lance and spirit. One day, a young boy came before the King. He was a handsome young boy. In his arms he held a large book, which he put down in front of him as he went down on bended knee before the King. “I can help you solve your Dragon problem.” said the young boy. The Kings men laughed, they thought it was funny that this young boy thought he could do what so many great and brave men had failed to do. But the King saw the manner and confidence of the boy and he was reminded of another he had met in his youth. “Where are you from?” asked the King. “I have come from St. Benedicts,” the boy answered. The King’s court fell silent. All had heard of St. Benedicts, although most thought of it as a myth, a tall tale to tell their young children. Many of the legends of the Kingdom included the timely arrival of an unlikely hero—a young boy from St. Benedicts. Almost no one had ever been to St. Benedicts, or met anyone who had ever set foot on its earthly soil. So they could be forgiven for thinking that St. Benedicts was merely a story they told their children to help them to believe in themselves and encourage them to accomplish great things. Very few people believed this mythical land really existed. But, unlike the rest of the Kingdom, the King believed the young boy. For the King, had once before met a young boy from St. Benedicts, and he could see the same mannerisms and intelligence in the young boy who was kneeling before him. “What is your name, son?” the King asked. “My name is Deacon, Sire”, the young boy answered. “And you feel you can take on the mighty dragon, Killon?” the King asked. “Yes, Sire,” Deacon replied confidently. The King nodded and gestured for Deacon to rise. And so Sir Deacon’s adventure began. The journey to the Dragon’s lair was fraught with danger, even with the King’s guards, the journey was perilous. But the young Sir Deacon forged ahead, earning the respect of the Kings Guard and instilling in them a hope that this extraordinary young boy could be the savior of their land. They left him, reluctantly, at the bottom of the hill that led to the Dragon’s lair. During their journey, they had come to love Sir Deacon, and now, while he stayed brave and focused, ready to face the Dragon alone, the Kings Guards wished he would forget this mission and return safely home with them. With that, our young Sir Deacon turned and started up the hill, towards Killon’s lair—alone. The Dragon was sleeping when Sir Deacon reached his lair. For a while, Sir Deacon stood and watched the golden Dragon’s peaceful sleep. He was in awe of the mighty beast’s great size, and how his golden skin shimmered and shone. Sir Deacon knew he should try and slay the Dragon now, while he slept, but Sir Deacon did not want the Dragon dead. He knew that there were no truly evil creatures, and that most creatures avoided man. He wanted to find out why this mighty Dragon was defying the natural laws, and feasting on the lands of mankind. It was already getting dark, so Sir Deacon lit a fire just outside the Dragon’s lair and read his book while he waited for the Dragon to awake. It was not much later when the Dragon roared from within his cave. Sir Deacon, although afraid—and well aware that he was no match for the mighty Dragon—stood at the entrance to the lair, his hair was blown back and his face burnt red with the heat of the Dragon’s mighty breath. “Mighty Killon!” Sir Deacon shouted, “I have not come here to hurt you, or drive you away. I have come here to help you,” Sir Deacon shouted. Sir Deacon heard the beast chuckle and a burst of fire came from within the cave. Sir Deacon was sure the flames would devour him, but the fire faded just before it reached him. “How do you hope to help me? The strongest, mightiest and biggest of all creatures?” asked the Dragon, his voice deep and gravelly. But Sir Deacon could hear the shimmer of doubt in the mighty Dragon’s gravelly voice. “But one day, they might succeed. Do you wish to live like this? Never able to rest properly for fear that you may be slain as you sleep?” Sir Deacon asked. “What choice do I have?” asked Killon angrily. Sir Deacon thought on the words of the mighty Dragon. He knew that if mankind would not leave the land, even in fear of the mighty Killon, they would not leave the land on the words of a young boy. It seemed an impossible problem to overcome; mankind needed the land to feed themselves; yet in so doing took the land from the Dragons, who were then left hungry. 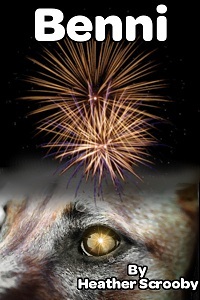 Sir Deacon thought as he looked at the glowing eyes of the beautiful golden Dragon. Suddenly the solution came to him and he shuffled through the pages of the book he held. “What if you could eat less and still be full?” Sir Deacon asked. Killon’s eyes lit up. 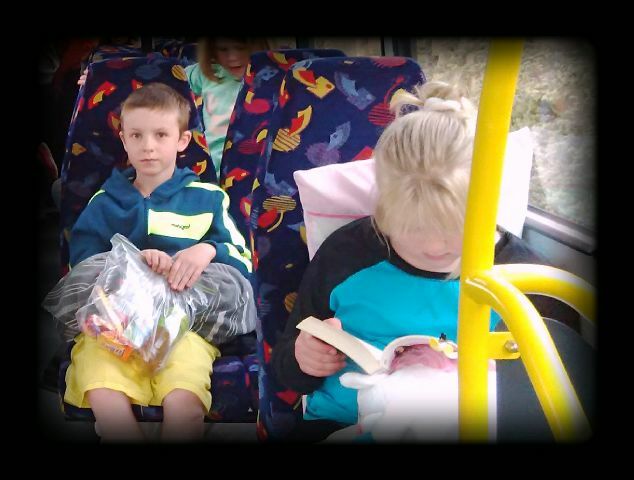 He was almost always hungry and the thought of being full for the first time in his life made him excited. Killon came forward slowly and placed his huge claw on the book, careful not to tear it. The Dragon started to repeat what Sir Deacon had said, and with the first word, the book started to glow, getting brighter and bright after each word the Dragon said, until a light started to circle up from the point of the Dragon’s claw and soon Killon was covered in the bright, magical light. Sir Deacon watched in amazement as Killon’s wings shrunk and disappeared and Killon himself seemed to shrink in size until, with a sizzling sound, the light disappeared, and where the mighty Killon had once stood, a large lizard type creature lay. Sir Deacon was shocked, “Oh no!” he said. But the Lizard looked up at him and shook his head slowly. Sir Deacon thought he heard in his mind, do not be sorry, you have saved me. This size, I will never be hungry again. Sir Deacon heard the sound of many feet as the King’s Guards rushed forward, “Sir Deacon!” they shouted, relieved to see him alive. “We saw a flash of bright light and thought the Dragon had got you!” they looked down at the lizard. “What is that?” asked one curiously. For the briefest moment, Sir Deacon saw the amused flicker of fire within Killon’s eyes as the King’s Guard carried him happily away. 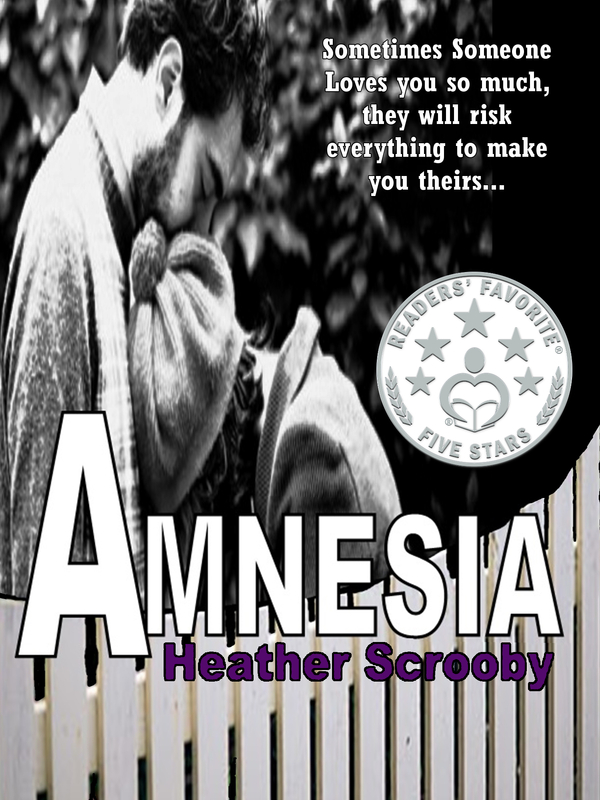 I am so excited about the Five Star Review Amnesia received from Readers’ Favorite! Reviews can make or break a book (and Author), so getting such a great review from a prestigious place such as Readers’ Favorite (and such a qualified reviewer – Janelle Alex, Ph.D.) is a dream come true! Authors put a huge amount of time and effort into writing a book, receiving good reviews is essential to help keep us writing and encourage us to continually improve where we can. Reviews also help other readers find a book and take a chance on a new author, which helps to encourage Authors to keep writing instead of packing up. Reviews are like bits of encouragement (or in the case of bad reviews, discouragement) for the Author. There might be a hundred other reviews, but each extra review still counts and gives credibility to a book, and ultimately the Author. 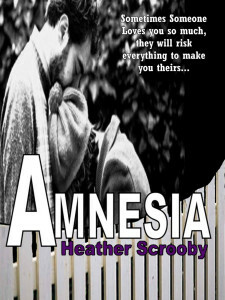 You can read the full Five Star Review Amnesia received from Readers’ Favorite by CLICKING HERE. You can get more information from The Roads of Luhonono website, and even become a Beta reader. Most of us write because we enjoy it. I love getting lost in a story, thinking up scenes and ‘trials’ to build my characters. This is the fun part. I can lie in bed and be entertained for hours by my imagination. The hard part is writing it down, taking those scenes from your mind and typing them out. It takes time, often time we steal from other places. It is all too easy to simply neglect this step and carry on with life. In my life, there is always something else I could be doing (if you saw the state of my house, you would have no option but to agree with me!) But if we fall into this trap, our stories will only ever be a brief moment of entertainment that gets lost in the jumble of our everyday lives. Even if you never want to publish, that great story you had in your mind could be captured and read to your children when they are old enough. Something of yourself they can take and treasure, and a reminder to yourself at a later date of times past. Each story has its own feelings and emotions, and for me, writing is a way to capture these feelings and relive them at a later time. I often read the story and see not what is written in the words, but the emotions and moments that fill the spaces between the lines. I have unfortunately been neglecting my writing lately. Even though I really enjoy writing, and it helps me to relieve some of the emotions I am feeling, something else always seems to be more important-or I just feel like I am too tired. I am a firm believer in ‘you can make time if you really want to’, and I know that if I was not just writing in my spare time, and if I had definite deadlines-that I was held accountable for by a third party-I would manage to find the time to write. The trick is, how to get people to hold you accountable if you miss a deadline? Many of the successful Authors have a large following that hound them for their next book, ensuring that the Author does the necessary to stick to their deadlines. The thing is you need to write in order to build your deadline demanding readers. So, while you are building your reader base, how do you get that little prod when you do not meet your deadlines to ensure you do not succumb to every other excuse not to put your pen to paper? What if I told you I had found a way to do this? Not only that, while you are motivated to meet your deadlines, you will also be exposing your work to readers and even have subscribers just waiting to read your work? How is that for incentive! But that is not all, what if you could get all the above and then also be PAID for each person that subscribes to your story? Too good to be true? I thought so too, until I received a little tweet, and was introduced to Channillo. Basically put, Channillo allows authors to submit what they call a series, and their readers (who pay a monthly subscription) can then choose which series they would like to read. The Author receives a portion of the site’s earnings relative to the number of people who are subscribed to any of their series. A series can be similar to your typical TV series, that has no ending (a great way to build up a readership and explore different story ideas by inserting them as mini plots into your ongoing saga). A series could also be your book in chapters, with each chapter being an ‘episode’ in your series. You can even submit a group of poems, with each poem being an ‘episode’. As Channillo’s subscribers pay to view the content, your work in progress will not be available for free on the web, so your future sales will not be hampered by a freely available version. When you submit your series to Channillo, you choose how often you will update your series. If you do not update it on schedule, or not at all, it can be removed from Channillo (along with your potential income). They will send you reminders before they remove your series, so you do get that all important prod to write. This gives you an incentive to ensure you write often. Each episode needs to be uploaded and provided to your waiting subscribers on schedule, thus breaking your book down into manageable pieces until it is a completed masterpiece. I am sure, like me, you can see the potential in such an arrangement. The drawback? Once your series is approved, you need to subscribe to their site as a reader, but considering all you could be gaining from the arrangement, the cost is negligible. You also then get to read ongoing work from other Authors and who knows, you might learn a thing or two from the process of watching another Author’s work in progress. If you are an Author who battles to find time to write (in fact any writer can benefit from this service! ), I would recommend you visit Channillo (Click to view the Channillo site), and have a look at what they offer. I will be heading there to submit my series to them as soon as I have made up my mind which of the many works in progress I want to commit to finishing. NB: I did battle a little to find the form to submit a series on their site, if you have the same problem, you can click here to go directo to the Submit your series to Channillo page on their site. Enjoyed this article? Subscribe to our newsletter below to receive information like this directly to your email as well as great offers-all related to books! Needless to say, there was space, and he packed up and left. Happy and confident, looking forward with excitement… I am the one that is stressing and worried! He phoned (yes, in my paranoia I arranged for a phone from ‘Granny white car’ incase he needed us), and he used it to phone when he arrived a little while later, to let us know that he had arrived and that there are horses where he is-because he knows I love them and just wanted to share that with us.